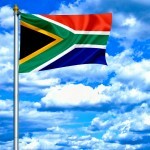 Taxpayers Rights When Audited By Tax Authorities In South Africa (Chapter 6.2) | TaxConnections is a where to find leading tax experts and tax resources worldwide. The definition in the new proposed Tax Administration Act for ‘administration of a tax act’ as defined in s 3(2) in so far as it is used in selecting taxpayers for inquiry and audit in ss 40 through 49 of the Tax Administration Act, states that SARS is responsible for the administration of a tax act, which in turns basically repeats the definition (with a few exceptions mentioned infra) of ‘the administration of this act’ contained in the current s 74 of the Income Tax Act and as one of the jurisdictional facts in ss 74A and 74B. The definition is wider in that included in its ambit is the ability for SARS to: determine the future tax liability of a person (who may not even be a current taxpayer); establish the identity of a person to determine such a future tax liability; and an emphasis on the ability for SARS to investigate tax related offences and lay the appropriate statutory and common law criminal charges, and do all reasonably required for the investigation and prosecution of tax offences. It is with reference to the later administrative action that the writer believes constitutional challenges will occur, either in challenging the law as being unconstitutional in its current form, in that it does not purport to give a clear line of separation between a necessary administrative audit for SARS to revisit the tax compliance of a taxpayer, and impose various administrative penalties10 (Chapter 15 and 16 of the Tax Administration Act) and penalty interest (Chapter 12 of the Tax Administration Act), and criminal prosecution as envisaged in the Canadian Supreme Court case of R v Jarvis.11 In that case a clear line between a civil or administrative audit, and a criminal investigation was drawn, as analysed earlier in this thesis. To take matters further, the Constitutional Court in South Africa in Ferreira v Levin NO and Others; Vryenhoek and Others V Powell NO and Others12 is authority for the submission that where any person has been compelled to give self-incriminating evidence in the interests of public policy, that direct, and any derivative, evidence cannot be used against the person in any subsequent criminal prosecution. This decision is in line with the constitutional guarantees given to persons in ss 35(3)(j) and (5) of the Bill of Rights13. The encroachment of the right not to give self-incriminating evidence was justified14as envisaged in s 36 of the Bill of Rights by guaranteeing the exclusion of the evidence so obtained, and any derivative evidence, from any future prosecution of the accused person. These constitutional principles are now recognised in the Tax Administration Act. In s 57 of the Tax Administration Act it is stated that incriminating evidence obtained from a person at an inquiry is not admissible in any subsequent criminal proceedings against that person. A contrary provision appears in s 72 of the Tax Administration Act, but is subject to the court making a finding that the evidence be excluded for criminal prosecution purposes. However, no mention is made of the derivative evidence, or of evidence obtained by way of written interrogatories as envisaged in ss 40 through 49 of the Tax Administration Act. No further exclusion or mention is made of this in Chapter 17 of the Tax Administration Act dealing with criminal offences. 3. Request detailed information from SARS in terms of s 73 of the Tax Administration Act in establishing the source of the audit, the scope of the audit, whether or not any criminal investigation is taking place or anticipated, and on what grounds. Seeking this type of information requires the taxpayer in terms of s 73 of the Tax Administration Act to do so through the mechanisms created in terms of the Promotion of Access to Information Act.16 This requires the taxpayer to correspond with the information officer of SARS at its head office in Pretoria. A very slow, laborious and frustrating process, often resulting in the information officer refusing to make the requested information available, and expecting the taxpayer to seek redress through the internal appeal process set out in that Act,17 which in turn causes delays running into numerous months. The purpose of the information request addressed to SARS will be to allow the taxpayer to insure SARS meets its constitutional obligations towards the taxpayer, as envisaged in 1. and 2. above. The ‘just cause’ defence will prevent SARS seeking a positive conviction under s 234of the Tax Administration Act(read with ss 49(2) and 127 of the Tax Administration Act) for the taxpayer refusing to impart any ‘relevant material’ on the basis that SARS has made a decision that is inconsistent with the Constitution, and invalid. 10 The reverse onus usually applies in the case of penalties. On setting aside the ‘reverse onus’ by the Constitutional Court, see William Mello and Constantina Botolo v S1998 (3) SA 712 (CC). The Tax Administration Act places the onus of proof for understatement tax in Chapter 16 on SARS. On the difference between administrative and criminal penalties, attention should be paid to the facts. Administrative penalties are designed to assist SARS recover its costs in recovering undeclared taxes. Criminal penalties are imposed as a form of punishment. If administrative penalties are excessive under the circumstances, the issue of criminal or punitive penalties arises. Then the question of double jeopardy becomes relevant. The principles governing double jeopardy in South Africa are well summarised in Tax Board Decision 198, by Advocate B Spligg SC as Chairman, Lexis Nexis online at www.mylexisnexis.co.zahttp://www.mylexisnexis.co.za/nxt/gateway.dll/lc/u3b/w3b/yi1ea?f=templates$fn=default.htm $vid=mylnb:10.1048/enu (last accessed 31 March 2013), at para’s ff. 11 2002 (3) SCR 757; See also US v LaSalle Bank 437 US 298 US where it was held ‘Congress intended Internal Revenue Service summons authority to be used to aid determination and collection of taxes, which purposes do not include goal of filing criminal charges against citizens; consequently, summons authority does not exist to aid criminal investigations solely’ and ‘(p)rior to recommendation for prosecution to Department of Justice, Internal Revenue Service must use its summons authority in good faith; dispositive question in each case is whether Service is pursuing authorized purposes in good faith or whether it has abandoned, in institutional sense, pursuit of civil tax determination or collection’. Emphasis supplied; SARS in its SARS Internal Audit Process Manual at Chapter 5 Comparison with The United States of America, p 7 – 8 quote the LaSalle case in conjunction with US v Powell 379 US 48 where they state: ‘…the provisions…(are)…important for the South African situation in that the four requirements …on…the standards of good faith should substantially be complied with under South African circumstances.’Hale v Hinkle 201 US 43 where it was held that ‘(t)he privilege against self-incrimination given by the Fifth Amendment to the Constitution, U.S.C.A., is personal to the witness and cannot be invoked in favor of another person, or of a corporation of which the witness is an officer or employee’; Murdock v Pa 319 US 105. 12 1996 (1) SA 984 (CC). 13 Sections 35(3)(h)-(j) of the Constitution. See also ITC 1818 69 SATC 98 and Seapoint Computer Bureau (Pty) Ltd v McLoughlin and de Wet NNO 1997 (2) SA 636 (W). 14 Careful note would have to be taken by SARS of Nyambirai v Nssa & Another 1995 (2) ZLR 1 (S) and De Freitas v Permanent Secretary of Agriculture, Fisheries, Lands and Housing 1998 3 LRC 62 where this Privy Council decision was cited with approval on the issue of what is ‘reasonably justifiable in a democratic society’ to limit a person’s fundamental constitutional rights in the Zimbabwean Supreme Court case of Law Society of Zimbabwe and Another v Minister of Finance 61 SATC 458: ‘1.Whether the legislative objective is sufficiently important to justify limiting a fundamental right? 2.Whether the measures designed to meet the legislative objective are rationally connected to it? 3.Whether the means used to impair the right or freedom are no more than is necessary to accomplish the objective?’ (Emphasis supplied); See also US v McCarthy 514 F 2d 368; Ferucci and Others v Commissioner for South African Revenue Service and Another 65 SATC 47 at pages 54-55. 15 1996 (1) SA 984 (CC). 16 Act 2 of 2000. 17 The writer’s experience in attempting to deal with the information officer of SARS since 2003 on numerous occasions after the promulgation of the Promotion of Access to Information Act.